As you may notice from my lack of posts, I’ve been rather busy for the last three years. I’ve been working on my own personal project “ThumbWhere” which is “Software As A Service” Social Media/Video Transcoding API. If you follow me :)… in the last three years you may have noticed I’ve been traveling around the world a lot. I’ve been involved either directly or indirectly in projects with most of the big ISPs Telcos and MSOs and Airlines in UK, Europe, Australia and the US and Television manufacturers in Asia. I’m under so many NDA’s I’m not even sure I’m meant to acknowledge that I actually exist… so I’m not going to mention any specifics. For those of you who have known me over the last 25 years then you probably know that I’ve been working on getting stuff from Computers to Television for most of my life. From my dance party visuals days and organising Cu-SeeMe events. … and my experiments with early social networks on television 10 years ago.. So I certainly have been consistent in my career path. Back in 1996 I was quoted in the AFR as predicting that the IPTV experience would be visually very similar to what we saw with the new Flash applications and animations that were starting to take hold. That prediction was fairly spot on. I also predicted at some point that every single video library would install a server and you would download your videos from them… that was not so correct, but the spirit of it encapsulates what I have been doing for the last three years. So in effect what I have been doing is solving the problem of getting applications and streaming video to your television and designing the systems that allow media to be ingested, transcoded, encrypted, catalogued and purchased by customers for various corporations around the world. I thought I would sketch out where we are now and where we will be in the future. In the beginning there was the analogue VCR. If you wanted to record a show on the spur of the moment, you had to have a blank tape handy. If you wanted to record a show that was on when you were not at home you had to “program your VCR”, and if you knew how to program your VCR you were a bit of a geek. This was something you had to learn and practice and rehearse. With the advent of devices with an inbuilt computer, hard drive and a tuner we had devices that could“trick-play” – otherwise known as “pausing live TV”, skipping over ads. They could record and play at the same time. These are also known as DVRs, PVRs or by the referring to the popular generic brand “Tivo-like” devices. With these devices you picked the show you wanted to record from a list and pressed a button. There was not much to learn. Modern DVR devices have multiple digital TV receivers and a hard disk. The device reads an EPG (Electronic Program Guide) from the digital broadcast. This is a list of what shows are on what channel at what time. You can then choose a show or a series and have it recorded to the devices hard drive. At a later date you can watch the show. It means you can set a show to record, forget and then a month later binge on 4 episodes of your favourite weekly show. It means that you no longer need to watch a show when it is broadcast – it is so easy and practical (compared to what you needed to do with a VCR) that you find that you never watch live TV again. I have a Windows Media Center with 4 tuners. I can be recording 4 shows at once while I watch one recorded show in the bedroom on my XBox360 while others are watching another show in the lounge room. This happens all the time in my house. This is life changing technology. We are now free from the TV schedule. This technology has also been introduced into Cable Television Set-Top boxes, so you can record and playback content from your cable provider in the same way you can your “Free To Air” television. It’s only recently that this reached critical mass in the mainstream. Its worth noting that many IPTV solutions take the standard DVR for Free To Air or Cable Television as a starting point and then add the internet and applications on top while others are pure IPTV and lack the DVR function. IPTV can be broadly classed as some Internet like services on your Television… and some Television like services on the Internet. Which is a simple view focusing on what a consumer gets from it, but how that is done is is a little more complicated. This is the kind of system I design an build for a living – but here is a simple diagram that is not too stressful of the truth. There is a lot of systems integration that goes on, but enough of that end of the problem.. What I’m focusing on at the moment is all the stuff that happens in this bottom layer, where the rubber meets the road, in your home. 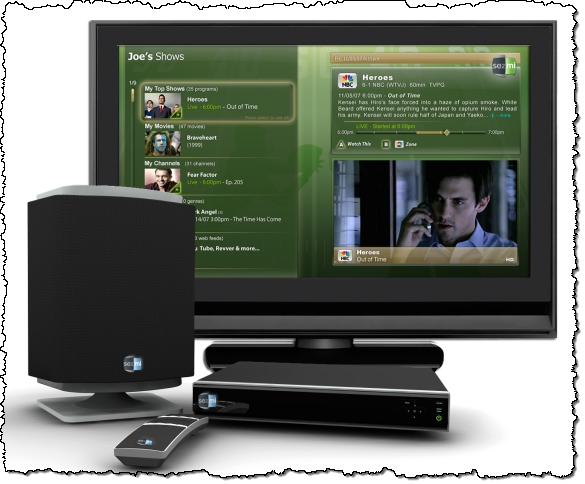 As a consumer, there are four interesting things that IPTV lets you do. Video On Demand/Catch Up/Video Subscription Services/Live Streams – The ability to purchase and play video content on your TV or PC. The models range from free ‘Catch-Up” and content to “Pay Per Play/View” and traditional Cable-TV style Subscriptions. Live streams are virtual TV channels that show a procession of pre scheduled content. 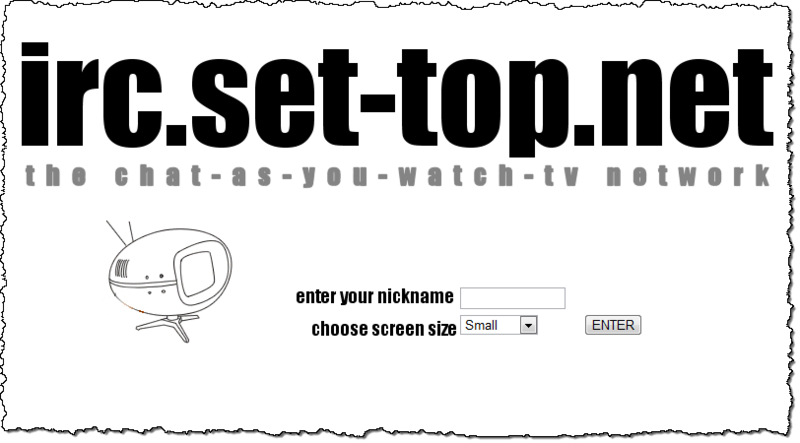 This allows anyone with a streaming server to set up a virtual TV station. While scrolling forward through your EPG, that program scheduled for next month can be purchased now but scroll into the past, there is something you missed that you can watch now as “Catch-Up”. 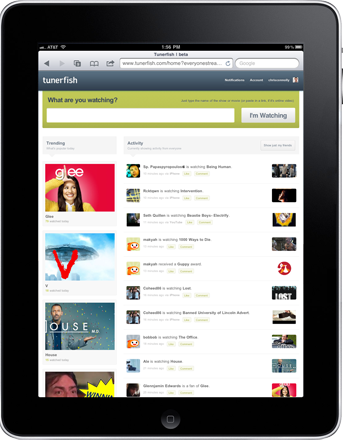 You can have the content delivered to your TV or your iPad. You can watch what you want to watch, when you want to watch it. Enhanced Television – Using widgets or other mechanisms as you watch content on your TV to interact with applications or online services. E.g. IMDB for more information on the show you are watching. Interacting socially with your friends via Twitter, Facebook as you all watch something simultaneously. 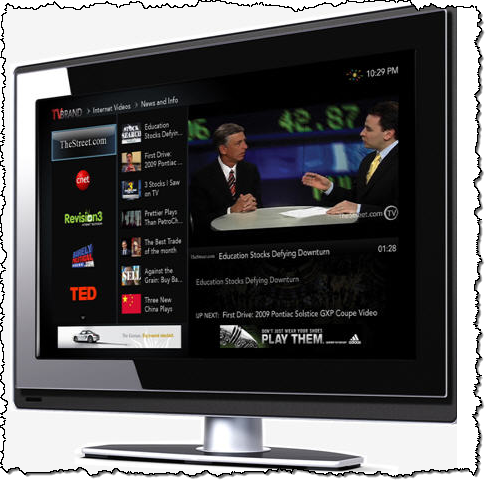 Applications – The ability to download and install widgets and applications onto your television. If you have an iPhone or an Android phone then you know what this means. “TV As A Second Screen” – Now that your TV is a real computer, you can interact with it via other devices in your house. Also other devices in you house, can interact with your TV. In particular mobile and tablet devices. Cool. I’m not going too much further that that as going into any details on any of these is a whole series of blog posts on their own. We are now in a transition phase, kind of what the minicomputer market was like in the 80’s before PCs came in and took over. The age of the Wang, Honeywell, Prime, DEC, Alpha Micro and a hundred other computer manufacturers each rolling out their own hardware, operation system and software. Same with the mobile phone industry as it was in the 90’s and early 10’s. It’s all a bit hard to cobble together. All the bits are not really made for each other. Standards are not consistent across all. Welcome back to the future. These are Televisions that contain some kind of middleware that let you run applications. Check out Sony, LG and Samsung (Who publish a really good SDK). These TVs are fairly modern so the software development process around these is thankfully sensibly “standards” based. As a general rule these devices run Flash and have a Web Browser. The versions of Flash supported range from Flash7 all the way up to Stagecraft and Flash 10.X. Standards based browsers like Mozilla, WebKit and Opera are slowly pushing out the custom web browsers that are a pain to work with. The television loads the application in the same way that a browser loads a web-page or a Flash application. With these and some clever development, you have the chance to create something that runs on multiple devices. The question here is what API does the device provide you to control video playback, channel detection/change? I had a small hand in the API design for one of the popular brands. If you are going to develop in this area, you really need to know your CEA-2014 from your HBBTV. Now that TV manufacturers have done their 3D thing, the next thing is the internet thing. If you ask me they set the IPTV industry back a year by doing 3D first. The real utility is in IPTV – industries will be founded on IPTV. 3D TV was just a fad. As people start to upgrade their TVs over the next few years we will see this segment start to pop out as its own distinct platform. 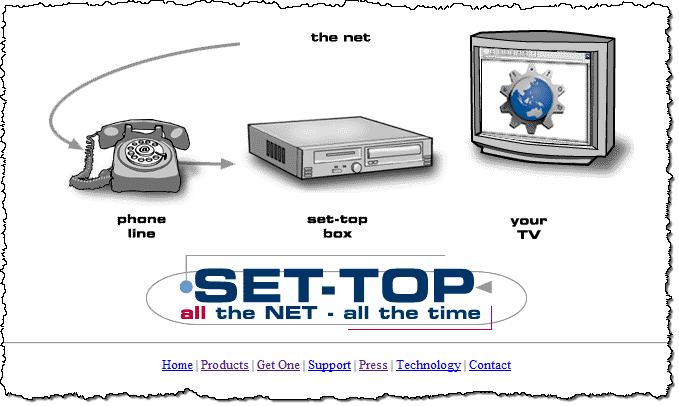 Custom Set-Top boxes with Custom Operating systems and Custom SDKs… Oh my. These are the last of the dinosaurs but there are a lot of them. For these systems you are breaking out the C/C++ or Java compiler. Or if they are OpenTV based a C compiler or their authoring software. Disclaimer. I did a lot of OpenTV development for a long time a long time ago. If you are lucky they will integrate a Flash player or a “Standards” based browser of some kind and its integrated enough with the hardware acceleration to let you get some decent performance. Otherwise its C/C++ for the lot of you. These still live because, they are cheap and companies are creating solutions that let them squeeze more out of their existing deployed set-top box hardware instead of expensively upgrading their deployed boxes. Which does make sense. These also live because some companies are holding onto obsolete intellectual property and believe they can compete with Google, Apple and Microsoft who at this point in time are battling each other to be the dominant player. Most boxes nowadays run Linux and many companies are taking a good hard long look at Android and Google TV. Much in the same way that many of the mobile manufactures have, except Nokia who are busy setting fire to themselves with Windows Mobile 7. Good luck with that guys. There are a lot of companies that build boxes…. 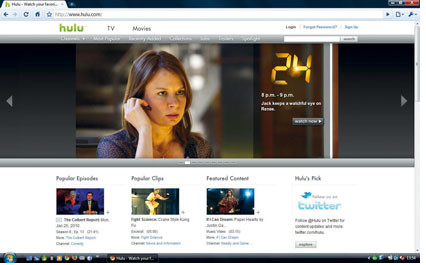 For the PC there are websites and applications that can run on PCs that bring the television experience to your PC. 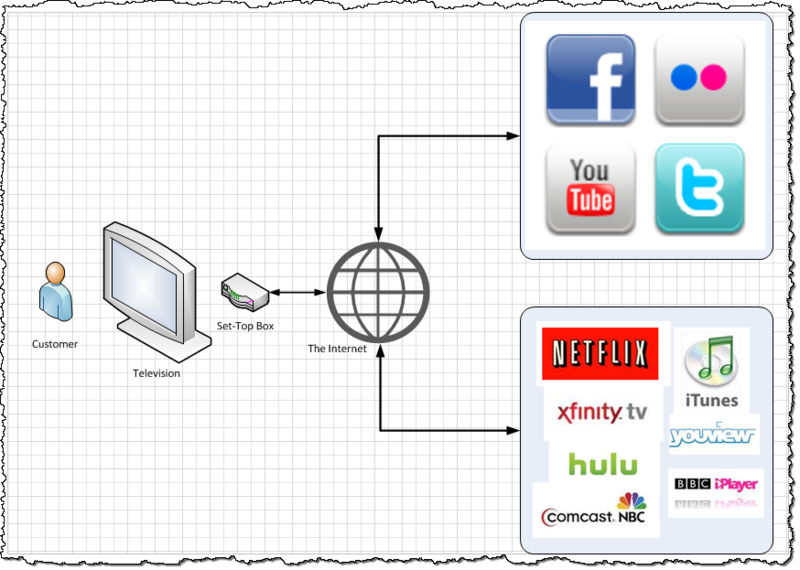 This encapsulates your Hulu, NetFlix, iTunes, iSky, YouTube, iView and iPlayer solutions. 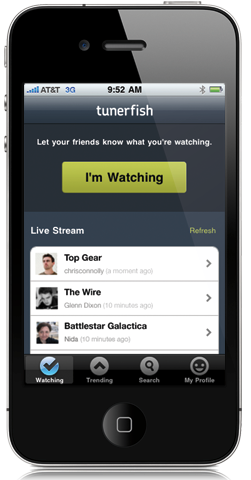 Video can also be streamed to mobile devices such as Android and Apple phones and tablets. Applications running on your TV can offer enhanced functions via these devices. Imagine watching a video and when you open a companion iPad application, you have ability to control what is going on on the TV from your iPad. Taking this further you can have the IMDB page one click away to settle any arguments or be able to browse the content catalogue and purchase related content. How about declaring to your friends via Facebook and Twitter what you are watching? Inviting them to watch at the same time? As a developer you can’t just get your app onto the TV. You need to go via the Service Operator or the manufacturer of the television. Traditionally the Cable Provider/MSO/Telco/ISP will ship your app with the firmware of the STB and it will get updated when they perform firmware updates. If you are lucky they have a system that lets you update the application over the net. If you want to target existing connected televisions –then you need to talk to the device manufacturer and convince them to let your app onto their main menu. If you are lucky it will go out on the next firmware update. The nicest TVs have your app just as a URL – but on some you still need that URL burned into the firmware somewhere in the first production run if you want your app to see the light of day. App Stores for connected televisions are emerging now but are not widespread. Samsung are probably the best progressed at this point in time. If you want to deploy your own set-top box you need to select middleware, hardware and a hardware manufacturer and then get some application middleware developed and integrated and then get a custom application developed to run your storefront. On top of all that is the infrastructure..
You need to stand up services to ingest and stream your video. You need to license a DRM solution if you want to get any content from the studios. 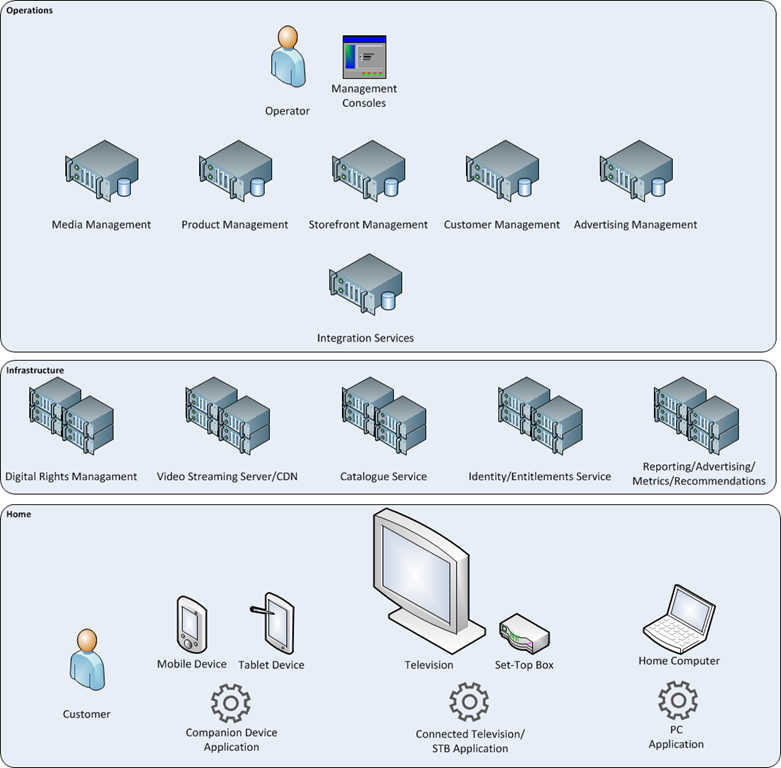 You need to stand up services to manage your catalogue and make it available to the application running on the device. These are big complicated projects that generally take at least a year from Go to first purchase by a customer. So back to the transition phase I mentioned previously This is similar to what we are now seeing the tail end of in the mobile market. In a just a handful of years we are going to end up with 99% of phones running just 3 operating systems. iOS, Android and Microsoft. More and more manufacturers will abandon custom operating systems and take up the Linux/Android/Google TV stack. Instead of developing their own OS, Sony has gone with the Android Google TV OS. In the future I think you will see two classes emerging. Generic devices based on standards based browsers. (covered above). 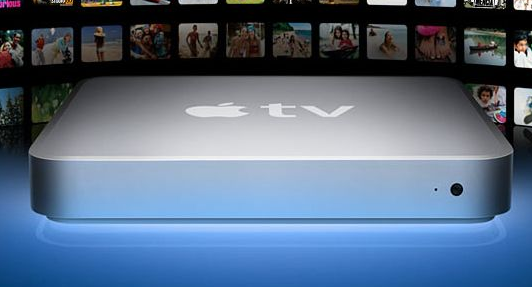 Into this category I place Apple TV, Google TV and the probably soon to be announced Windows TV solution. The utility of these owe more to the mobile phone industry than to traditional TV industry. Like the mobile phone and the PC, these are personal devices. These are devices dedicated to IPTV. Even the games consoles will get in on act. Rumour abounds that Sony will release Google TV on the PS3 and that Microsoft are going to compete in turn on the XBox-360. As a developer you download/license the SDK develop and release your application into the App store. In the future as an IPTV application developer will be able to simply develop your app and publish it to an application store. This will work much like the Android and iTunes Application stores for mobile devices. It will be that easy. As it should be. As a service provider you will no longer have to ship or design your own device. IPTV devices will be products that people will already have. They will have bought them from a store. The same way that one now buys a TV, PC or mobile phone (outright purchase off a plan). People will choose the one that suits them or just use the one that came inside their TV. Much like the Apps are downloaded to Phones and Games are downloaded to consoles, you will develop your storefront application and register that with the App-Store. 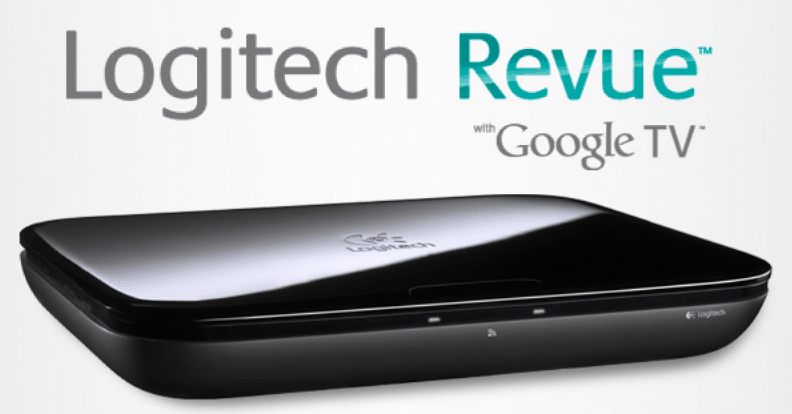 Your customers may for-instance have a Google TV device or a Microsoft TV Device. You will be able to integrate with standard in-app payment solutions so your customers can purchase content but if you really want to there is no reason why you can’t integrate your own payment gateway. It will be as as easy as getting a designer and an application programmer to construct your application and the rest will be configuration and simple integration. There will be more systems such as Appcelerator and our own Massive UI SDK. Meta-Programming systems that will allow developers to “code once/deploy many” to deal with the 3-4 dominant IPTV platforms. Many of the services you need to stand up an IPTV VOD/SVOD will be available as standards with standard plugins for the now standard operating systems. Integration will be much more commodity software based. I’m intending that ThumbWhere will end up as one of these integration points. The video watching experience will be one that users customise based on downloaded applications and plugins. Exclusive content deal wars will be fought between service operators. The ‘Social’ aspect will be mostly limited to companion devices. I would not be surprised if.. Content licensing will start to appear as a service. We end up with only three and maybe even only two IPTV operating systems. A studio enters the market selling direct to customers. 25 years of getting PCs talking to TVs and the last 10 years of interactive television and the last 5 years of IPTV have left me with a lot to talk about. I’ve not discussed anything about what is going with DRM at the moment. Especially what is happening with Google having purchased WideVine. Don’t get me started…. I’ve not compared iTunes to Canvas/YouView or discussed Comcast’s Xfinity project because that is a book in itself. Not gone anywhere near the strategies for pushing customers back to real-time consumption vs time-shifted. A lot to digest over here! After watching Google TV demo at Google IO last year, I thought it would take over everything but it hasn’t caught up big stream yet. Perhaps, as you mentioned, 3D was the reason for it and it will pick up speed now. Things like buying instantly and buttons like “Like” / Tweet will become common with tv content as they are now on sites. Google TV is missing the PVR functions. Google is good at taking something hard to explain and wrapping it in a simple implementation. At the moment GoogleTV aggregates pre-existing IPTV content into an navigable index. They are not so good at UI/UX – but anyone can skin Android so suspect that a good UI/UX ‘language’ will evolve out of the inevitable slime.